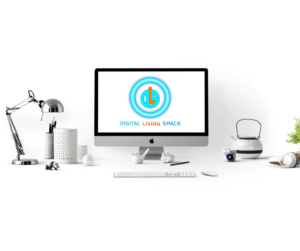 We don’t build websites, we build digital homes. We ensure that you have a nice home, the front lawn is tidy and people know where you live, at least digitally that is. With all the tech lingo out there, here’s our attempt to simplify the digital world and how it relates to your business. Here are the three points you need to know about digital marketing. There is an old saying that states “If it isn’t broke, don’t fix it.” This has to be taken with a grain of salt because the Internet is always changing, always moving on, and redefining itself. As a business owner, you must be aware of these changes such as making sure your website is mobile-friendly. Before we get ahead of ourselves, let’s say your website is your home. There will be times when you will need to make a few changes to your home, such as replacing a few lamps or swapping out a few pieces of art. These are just a few things to keep your home feeling and looking new and functional. Small changes such as these will be made to your website as well, which will give your audience something to look forward to each time they visit. If your home is your website, then your social media profiles are your front lawn. Every now and then your front lawn needs to have the grass mowed. It is imperative to update your profile picture and post new content for your audience to read in order to maintain their attention and encourage return visits. We have a blog post about the Needs vs Wants of social media. In a nutshell, SEO is telling people where you live. There are two aspects to SEO. The first aspect is equivalent to telling your family and friends what your address is. Another example is you, the business owner, telling the local newspaper that you just opened your doors for business and the newspaper mentions your location. The second aspect of SEO is telling your guests or visitors where they can find the kitchen of your home, or where they can find the jazz section of your music store. These are the basics to building and establishing your digital home. We’ve talked about this more in detail in our What’s So Important about SEO, blog post. We will walk you through each step to evaluate, build and maintain your digital home.